Multiple outlets are reporting that the $200,000 payment AT&T admitted it made to an obscure shell company owned by Donald Trump’s “fixer” is actually several times that amount. The payment raises numerous questions about pay-to-play deals, and AT&T is scrambling to make it all seem perfectly normal. 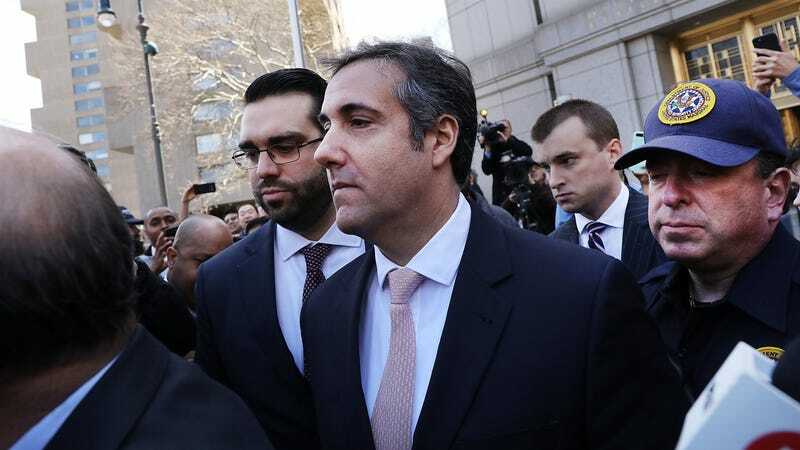 On Wednesday, Reuters reported that a source with knowledge of the payments claims Cohen had a contract with AT&T for a year’s worth of “consulting.” The source declined to say what the total payment amounted to, but the $50,000 per month rate would add up to $600,000. It’s possible that AT&T’s careful use of the phrase “Essential received” was intended to only reveal the amount paid to Cohen’s shell company rather than the total amount paid to Cohen. CNBC is also reporting that AT&T’s deal with Cohen was for a year. In an email to Gizmodo, an AT&T representative claimed that Essential Consulting “did no legal or lobbying work for us, and the contract ended in December 2017.” Instead, the company said it was paying for Cohen to “provide insights into understanding the new administration.” For the record, Cohen has never been a part of the Trump administration. The company’s reply did not address our question about the accuracy of the $600,000 estimate that is being floated in the press. Much has been made of the fact that AT&T was preparing its blockbuster merger with Time-Warner in the same period that it was paying Cohen. That deal ended up being challenged by the Department of Justice and is still pending in court. But AT&T’s contract with Trump’s fixer ended the same month the Federal Communications Commission voted to repeal net neutrality protections, a regulatory move the company has wanted for years. At least AT&T has given a semi-plausible explanation: It wanted to know how a ridiculous person thinks, and it decided to pay another ridiculous person who might have inside knowledge. Korea Aerospace Industries told the Wall Street Journal it paid Cohen $150,000 “for legal counseling regarding U.S. accounting standards.” And drug company Novartis is now on its third statement explaining its payments to Cohen, which have risen to $1.2 million. AT&T seems to be sticking with its story for now, but that could change as the freshly announced investigation into Cohen’s bank records by the Treasury Department’s inspector general gets underway. Additionally, Sens. Ed Markey and Richard Blumenthal called for a Senate Judiciary Committee investigation into Cohen’s dealings this afternoon. If all goes well, we’ll hear AT&T make its claims under oath.